The Parallel Hands Drill (Follow-through) Part 3 from Golf Schools by Golf Made Simple on Vimeo. This week’s video shares the last piece of the parallel arms drill, helping you to complete the connected feeling we want in our golf swings. Parallel Hands Drill (Power & Consistency In Your Golf Swing) Part 2 from Golf Schools by Golf Made Simple on Vimeo. To become connected in your golf swing to create power and consistency … you need to understand the Feel of your golf swing. This goes beyond trying to turn your shoulders, hips and shifting your weight. GIW-Shoulders from Golf Schools by Golf Made Simple on Vimeo. Your shoulders play a vital role in every athletic movement. Yet, not understanding it’s role in the golf swing will have you chasing a constant flow of tips in your attempt to hit the golf ball better. Are You Turning Your Hips? – Golf Improvement Weekly from Golf Schools by Golf Made Simple on Vimeo. Are You Turning Your Hips? The ‘Over-Taught’ golf swing often creates more problems … even though you’re looking for solutions. How to use your hips is one of the swing issues that’s often mis-diagnosed. Meaning – trying to force your hips … often will cause other problems to arise! If you had to describe the most important swing technique you need to do … what would it be? The idea of standing on the first tee without knowing how you’re going hit your tee shot is enough to make a grown man cry. Believe me … I have seen the tears after watching Golfers hit bad shots. It doesn’t matter if you’re playing with your best friend or with 3 people you’ve never met before. The anxiety that flows through your body while on the tee box causes many Golfers to make golf swings that often result in a substandard shot that sets the tone for more of the same over your next 17 holes. To truly understand how to improve your scores on the golf course … you need to study your game. Because improvement goes far beyond hitting another bucket of balls at the range. Yes, you probably know that you need to improve your Driver, or your putter, or your irons … but do you really know where you’re losing the most strokes? How much better is a Golfer that averages 80 versus a Golfer that averages 98? The easy answer is 18 strokes. However, what goes into those 18 strokes? Well, that is hard to say because there are many different ways to score 80 and many different ways to score 98. Not being able to hit the ball well on the golf course is like being seasick 100 miles out in the ocean … as you have 4+ hours of agony ahead of you before getting off that rocky boat onto solid ground. Now, getting off that swaying boat to a steady golf swing isn’t always as difficult as Golfers make it. Would you agree or disagree that the PGA Tour Player has a better golf swing, is better at reading the golf course based on their strengths and weaknesses, as well as being more in control of their emotions from getting too low during a round than the average Golfer? One reason (of many) they’re better equipped is they have the luxury of listening to the advice of their caddie to help them make decisions on the golf course. Who’s advice are you listening to on the golf course? From “I’m trying to close my stance and put the ball farther back to draw the ball” to “I’m trying to get my swing more flat so that I stop coming over the top on my downswing”. The golf swing can be as difficult as you want to make it or as simple as you want to make it … but it will never be easy. However, the Golfer that makes it simple will be able to repeat their non-difficult swing much more easily than the Golfer that complicates it. To give you an answer – you must understand that the same bad movement on your backswing can cause different bad shots on your forward swing. Meaning the same error on your backswing could cause you to hit a ball too far right on one shot … while having you hit the ball too far left on your next shot. Explosive Power In Your Golf Swing Isn’t Far Away! We receive so many questions throughout the winter months about “what can I do in the colder months to work on my game?” So we started creating videos a few weeks ago about strengthening your golf swing. And although many people are clamoring for golf mechanic specific videos … we believe the winter season is the perfect time to work on your golf swing by working on the mechanisms that allow you to produce consistent movements. In other words – if you improve your muscles by just 10% … you’ll improve your golf swing by 20%. Are Your Hips Causing Your Golf Swing Issues? As the “Golf Tip” has become the “go to” source of instruction for most Golfers trying to improve … it rarely works to give more than temporary relief to what most likely is a bigger swing issue. Or in other words … “swing tips” work as well as using aspirin to cure cancer. Yet, frustrated Golfers continually try to find the next tip that will magically transform their inconsistent swing into something they can be proud of. Though forever disappointed in their less than stellar results … the Golfer is a persistent creature of habit that’s comfortable using this next tip mentality. 1. I will never go to the driving range to work on my golf swing without a Practice PLAN based on using a specific drill after every 6 shots. Golfers often have ineffective practice habits when they go to the driving range. Remember, the hitting of the golf ball shouldn’t be considered practice. Practicing a drill to work on a specific area of your swing is effective practice. The hitting of the golf ball should be used to indicate what drill you should practice before hitting your next 6 golf balls. So the question becomes: which is more important for you to see more consistency? Is Your Golf Swing Fixable? The golf swing is a series of “Causes and Effects” that determine whether you hit a good shot or not. When you hit a good shot – it’s because you either have a perfect golf swing … or you have a swing flaw, but you were able to align your compensations to produce a good shot. The interesting thing about the statement above is that no one in the history of the world has ever had a perfect swing. Every person has a swing flaw. However, the better the Golfer … the less the flaws. To play golf well … you need to be aggressive in how you swing. However, because the typical Golfer is thinking about too many things every shot … they have no aggressiveness whatsoever. Yet, as many people will say that they’re already “overly aggressive” because they swing too hard – the “too hard” comment may be a misconception on your part. Should You Try To Hit Down On The Golf Ball? One of the most frustrating aspects of playing golf is when you hit one good shot … then follow it up with a poor shot that you hit the ground before the golf ball. This inconsistency is often caused when a Golfer is trying to get under the ball with their golf club to help it up in the air. The good news is that sometimes you get lucky and hit a good shot … but the bad news is that many times you either hit the ground first or you lift up to try to avoid hitting the ground. Here’s a test for you: when on the golf course, do you ever have days where you hit your irons well … but have a bad day hitting your Driver? Or you hit your Driver well … but all of sudden you forget how to hit your fairway woods? If you answered yes to either (or both) of those questions … you’re the Golfer that relies on different golf swings for each of these shots: a chip, a pitch, another swing for wedges, a mid iron swing, a long iron swing, a hybrid swing, a fairway wood swing, and of course … a Driver swing. Thus, if you continue this philosophy … you’ll be a permanent member of the “League of Frustrated Golfers”. Swing Techniques – Does More Advanced Mean More Better? It seems that the more a Golfer struggles … the more he/she starts looking for more advanced techniques to solve their problems. Yet, the more advanced the technique you attempt to implement … the worse your swing gets … because “more advanced” also means more difficult. In order for a Golfer to see improvement … he/she first needs to come to grips with their current skill level. Because there are many Golfers that do not break 90 and 100 that are trying the same (or similar) techniques used by the Tour Players. One of our Instructors and I were talking the other night about the increased frustration we’ve seen in Golfers over their inconsistency. We were comparing how much more confused Golfers are about their swings nowadays compared to just 8 years ago. Yes, Golfers have probably always gotten frustrated since the beginnings of the game. But we’re seeing more people than ever who are at their wit’s end and ready to give up. Often times we hear right-handed Golfers say they hit bad shots because they’re using too much of their right side in their golf swing. Left-handed Golfers – just reverse everything I’m saying. However, the issue isn’t with your right side doing too much … the problem lies with your left side not being able to do enough. Often times we hear Golfers say they have a problem of using too much of their right side in their golf swing. Left-handed Golfers – just reverse everything I’m saying. As many Golfers have been told they use too much right side in their golf swing … I believe this is something that needs to be addressed. Because trying to take your right side out of your swing will further damage your efforts of becoming more consistent. Problem: It could be as innocent as hitting a couple of 7 irons behind the golf ball during a round … and someone suggesting that you move the golf ball back in your stance. Why Are You Slicing Your Driver? One of the most frustrating things on the golf course is slicing your Driver. Especially when it seems like you try everything to stop the curve … but nothing works. Why is it that sometimes … regardless of how much you try to stop your slice … that it seems to happen again and again? We have found that to improve your golf swing so that you’re hitting better shots and scoring better on the golf course – Golfers need to improve the ‘tangibles’ in their golf swing … as well as the ‘intangibles’. A ‘tangible’ would be your golf swing mechanics. The ‘intangibles’ are the little things that the best Players consistently use … while regular Golfers often ignore. Now this may not be your fault as these ‘intangibles’ may have never been brought to your attention. As most Golfers are taught to focus 100% of their attention on their swing mechanics until they get it. How To Hit The Golf Ball Farther Without Swinging Harder! The common issue many Golfers have is that when they want to hit the golf ball farther … it usually doesn’t end up well. As the result is often a shot that is topped, or flies into the trees, weeds, or water. Why is it that when you try to swing harder … you hit bad golf shots? It has to do with the various parts of your body not working in synchronization to get you into a consistent impact position. Meaning, when a Golfer that can’t feel their impact position tries to swing harder … the brain doesn’t know how to get them there at that faster speed. And in reality – the weakest part of most Golfers game is their Driver. Yes, there are Golfers that hit their Driver well enough to easily get on the green (with a 7 iron or less) in two shots on a Par 4. However, that small select group may make-up about 20% of all Golfers. Your success playing golf depends on 4 key factors: how you hit the golf ball, how you putt the golf ball, how you PLAN each hole, as well as how you handle your emotions throughout the 18 holes. I will tell you that the average Golfer spends a minimum of 70% of their energy/thought on hitting the golf ball better, 20% of their thought on putting, 9% on their PLAN … but probably not even 1% on controlling the emotions you go through in 18 holes of golf. The greatest feeling in golf can often be described as “I hit that ball so good. I hardly felt as if I swung at it. If I could only do that every time”. Most Golfers that try to swing a little harder often have trouble hitting good golf shots because when you try to swing harder – one part of your body is going to move faster than the rest of your body causing you to become “Disconnected”. Does Your Golf Game Shutdown After A Lesson? Golfers have too much information to think about and much of the instruction they learn contradicts itself. For example – you sign-up for a 6 lesson series of lessons to improve your consistency. In lesson #1 you’ve been told that you need to “bump” your hips towards the target to shift your weight to your left foot. So you practice and practice shifting your weight. But as soon as it starts becoming easy to do without too much thinking … you start to hit behind the golf ball with your irons. What Is The Primary Swing Fault In Your Golf Swing? Are you on a quest to hit the golf ball better than ever? As far as I’m concerned – there’s nothing wrong with having the passion, desire and drive to make golf more enjoyable. Because not hitting the golf ball well on the golf course is as pleasurable as being seasick on a boat 100 miles out in the ocean with no land in sight. If you could improve as little as making just one more putt from 10 feet … as opposed to needing two putts. If you could improve as little as having one more chip stop 2 feet from the hole … as opposed to 7 feet from the hole. Bad Shot, Good Shot, Bad Shot? Is the answer 3? Is it 5 shots in a row? Or do you just need to find the secret to your golf swing so that you never hit a bad shot again? Most Golfers lump all their ‘not so good’ shots into one bucket – the ‘bad shot category’. Which means that each golf swing is being judged as either ‘pass’ or ‘fail’. Similarly the same holds true with your golf game … you can try any sort of golf tip or training aid or magic potion you can get your hands on … but you will only succeed and see improvement with a little sweat and effort on your part. Do we need further proof of how frustrating the game of golf can be than looking at the #1 Golfer in the world walking off the golf course in the middle of his round? This just shows that when you’re not on your game … you’re not on your game. And that it doesn’t matter if you’re trying to break 100 or trying to break 70. Golf Has Been Good To Me! Golf is truly an International Game. Let me give you this example: In the 90-days, from this past Monday, October 4th till the beginning of December we’ll have had golfers come to see us from Japan, Switzerland, Mexico, Malta, Australia, India, Canada, Nigeria and of course the United States. Showing – It doesn’t matter what country you live in – if you play golf, you’re always trying to get better. The Driver is the name of the game. There’s nothing more satisfying than walking off the 18th green knowing that you hit your Driver well all day. In fact, there are times that I play golf just because I want the adrenaline rush that accompanies hitting great drives on the golf course. To put it bluntly – you need to hit your Driver well to have fun on the golf course. Yes, you can hit your Driver well and still not score well on the golf course. Though, it’s very difficult to score well if you’re hitting your Driver poor – tee shot after tee shot. How Many Golf Instructors Does It Take? How may Golf Instructors does it take to screw in a light bulb? 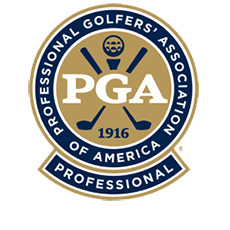 If it’s the same amount that it took for me to get my golf swing consistent enough to think about becoming a PGA Professional – it’s a lot more than 1 and little less than 100. In order to screw in the light bulb – one Instructor will tell you that first you need to position the ladder, then climb up to see what type of light bulb is already being used, then climb back down to get the replacement bulb, then climb back-up to take out the old bulb and put the new one in. Are you on the quest to hit the golf ball better than you ever have before? To some, this is what golf is all about. And as far as I’m concerned – there’s nothing wrong with having the passion, desire and drive to make golf more enjoyable. Because frankly, not hitting the golf ball well on the golf course is like being seasick 45 miles out in the ocean with no land in sight. Is it something in your grip? Could it be that you need to see 3 knuckles instead of 2 knuckles? Could it be to start your swing with a little more wrist hinge so that you can set the club with more ease? Are You Playing For Score? “Play For Your PLAN, don’t plan for your score.” If you can live by this simple sentence on the golf course, you can succeed in playing well. If you turn it around to say – “Play for your score, don’t plan for your PLAN” – you’re pretty much going to be a frustrated golfer. Or as we say – you’re a Monkey. And we all know there’s too many Monkeys out there for our own good. Who Do You Play Golf For? Or let me put it another way – When you’re on the golf course, are you ever worried what other people are thinking about your swing or your game? Monkeys are more worried about how their golf swing looks to others rather than staying focused on their PLAN. Or in other words – it’s more important for you to look like you know what you’re doing in front of other Monkeys, rather than staying focused on your game and scoring well! OK, I understand that you might not believe what I’m saying or are in self-denial – so lets go to the examples. Explanation – One degree isn’t going to make a noticeable difference. Yes, maybe if you’re clubhead speed is 120 mph and you hit the ball so solid that the difference between your worst drive (270 yards) and your best drive (290 yards) is only twenty yards, you might spend more than a few shots deciding. But, the average male swings at 85 mph (Female – 70 mph) and the difference between your worst drive (140 yards) and your best drive (250 yards) is too inconsistent to have one degree make a difference. How bad do you want it? It seems that the more you sit inside and the less you’re out playing golf – the more excited and optimistic about your golf game you become. Isn’t that odd? Odd, why odd? Because you might not believe this, but there are people out there that get upset on the golf course. Really, strange as that may seem, there are. I’ve seen it before with my own eyes. Do you remember this from January 4, 2004? It was one of our most popular and I’m sure you’ll enjoy reading it again because I’ll wager a good sum of cash that it applies to your golf game! So Close, Yet So Far Away. That’s my game – I’m so close to breaking through, but I just can’t. I know what it is that I need to do, but for some reason I can’t put it all together at the same time. What’s holding you back from getting it all together at the same time so that you start to see results? The Golden Age of your Golf Game is right now! Sure, some wines get better with age just by sitting around in a damp and dusty basement – though unfortunately this doesn’t happen with your golf game. Have Fun Playing Golf! What makes golf fun for you? Nothing! Nothing about golf is fun. I really don’t like the game at all. It’s too dang frustrating for me to play because I can’t seem to be consistent enough to enjoy myself out on the golf course. I mean, how can you have fun when all you do is slice the ball into the trees or hit your divots farther than you hit the golf ball? Hey, I can’t help it, that’s my game! Are You A 70% Player Or A 30% Monkey? How can a game that looks so easy be so hard? How can it look as if that Player on the PGA or LPGA Tour is hardly swinging the club, yet the ball goes a mile? And I ask this because when the regular Golfers in this world go to hit a golf ball, it looks as if you’re either trying to knock the cover off the ball or you’re so afraid of swinging too hard that you swing so slowly that the ball doesn’t go anywhere. Habits in Golf are usually classified as being good or bad. Have you ever heard of Mediocre Habits? Mediocre Habits – this is like a gray area. You know that you have some Good Habits and you know have some Bad Habits – these are easy to spot because they’re black or white, they standout and that’s good. You can notice your Bad Habits and correct them and you can see your Good Habits. But it could be your Mediocre Habits that are killing your golf game. What’s happening on the golf course around the greens? It’s getting scary out there! When I go out on the golf course I see golfers walking up to play their short game shots with 4-different clubs in their hands and then having a brain meltdown trying to decide which club to use. You ever see anyone do that? It’s like time just stops and their standing over their ball in this purple haze trying to decide what to do. Here’s an analogy for you and your golf game- It’s Football season here in America or as our European, Asian, African, South American, Australian, Mexican and Canadian friends say – it’s American Football season. And one things strikes me every year at about this time – why can’t the Arizona Cardinals ever breakthrough to the next level. Please stay with me, this relates to your golf game! What’s the difference between hitting your 9-iron and hitting your 3-iron? What a huge question! There are 5-other golf clubs between these 2-clubs – So surely you need to swing them differently. Right? I mean, isn’t that what everybody says you need to do? ….. go to warm-up at the driving range with just your Driver before playing. What are you thinking? Could you ever imagine Tiger or Annika warming up for a round of golf by just going out there and repeatedly beating their Driver? How Easy Do You Make Your Golf Swing? What are 9 of the most popular golf swing thoughts that many Golfers have before hitting a golf ball? Now which of these 9 are you thinking about before and during each shot? What? All 9?! Before and during each shot? Seriously? Wow!!! My understanding of the game of golf is that you’re trying to get the ball into the hole in the least number of strokes possible. Whether it’s for your own personal satisfaction or if you’re in a golf tournament – you’re a winner if you have taken the least amount of strokes. How you play on the golf course isn’t judged by how beautiful your ball flight is. It isn’t like American Idol or Dancing With The Stars where you get voted off the golf course if you’re not hitting a perfect 1 yard draw. Breaking through your Magic Number can be one of the hardest, most nerve raking events a Golfer experiences on the golf course. What’s a Magic Number? Your Magic Number is a score that you want to beat for the first time. And many times it drives Golfers crazy when they can’t get past it. Which often times leads to purchases of what are advertised as game changing training aides seen on late night infomercials. Do You ‘Buckle’ On The Golf Course? As much as you, I, Tiger and Andrew Buckle want to believe that we have the ability to hit better golf shots every golf swing we take … reality says it’s not going to happen that way as much as we’d like it to. That dang reality is always getting in the way of a satisfying golf score!